The latest version of AdWords API v201802 is used during data export. 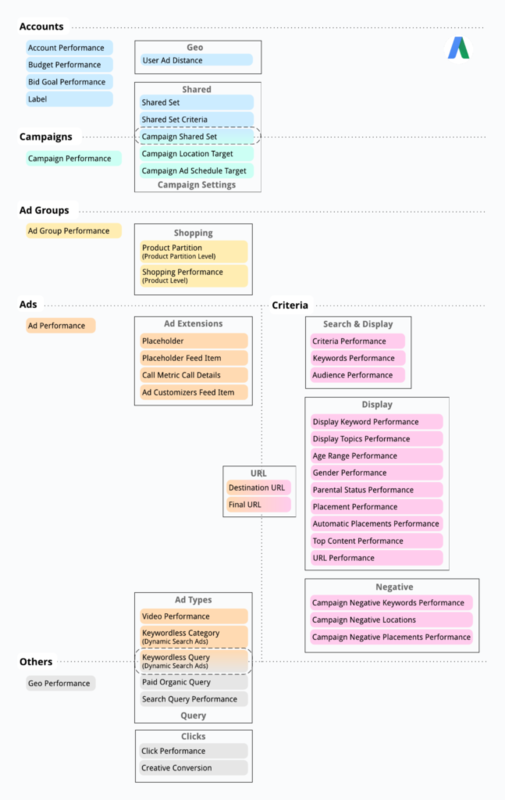 As an example, let us analyze the integration of Google AdWords with Google BigQuery. At the first stage, select the type of integration. In our case this is Google AdWords. To do that, click on the Add button and sign in using the account you want to export data from. You will see the Google AdWords sign-in window. After that your account will be available for selection. 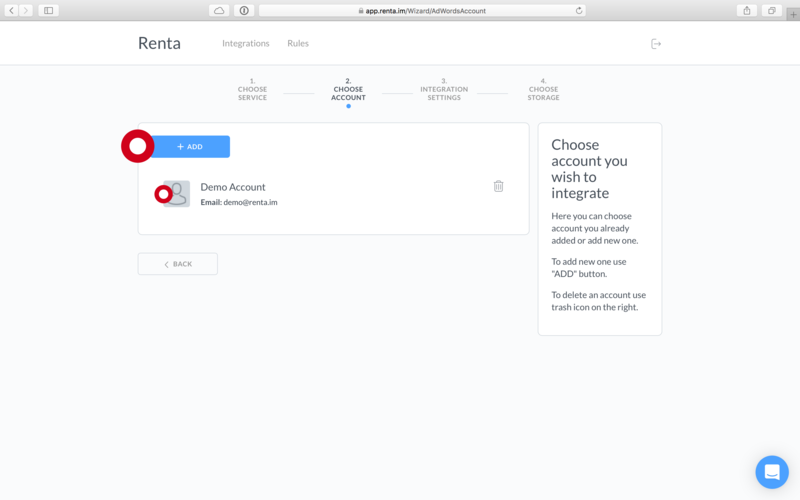 Renta supports standard account as well as MMC ones. The third step is committed to the integration settings. Here you need to select the advertising account as well as specify the required information for export and the frequency of data update. Specify the advertising account from where you will export the data. You can add more than 1 advertising account. Select the type of report. 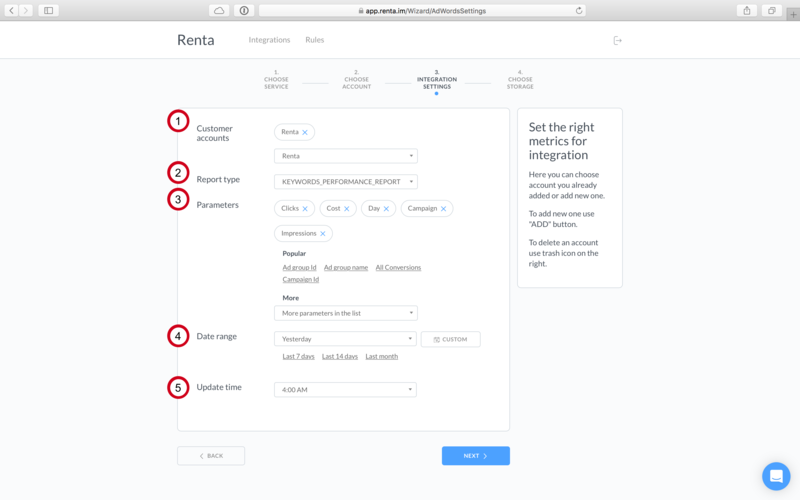 Renta supports all types of reports available in the AdWords API. You can see the complete list and their distinctions in the documentation. Select the parameters that you need to export. As an example the date, clicks and cost are specified. Select the time period for the data you need to export from AdWords. The advertising campaigns statistics is available for the whole month. But you only need the data for 7 days. In this case select «Last 7 days». If you want the data for the past day to be gathered automatically, click on the Custom button. In the «To» field specify the start date of the period. In the «From» field select «Yesterday». 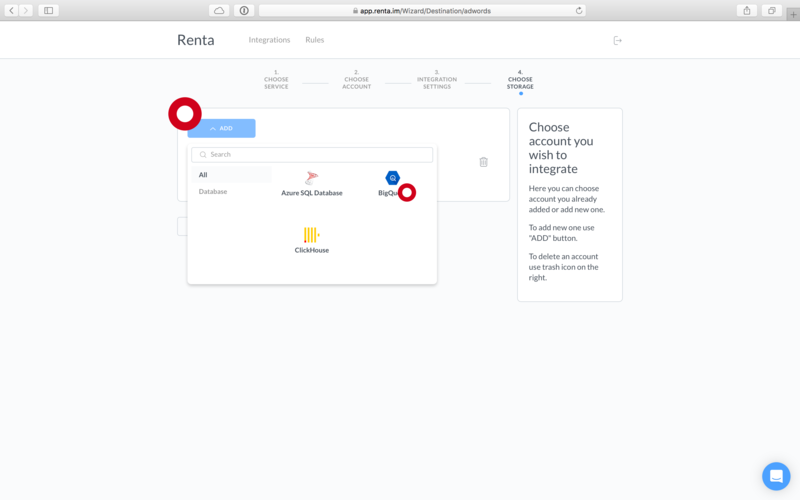 In this case Renta will automatically download data from AdWords for the past day. Specify the time of the data update. For instance, every day at 4:00 AM. 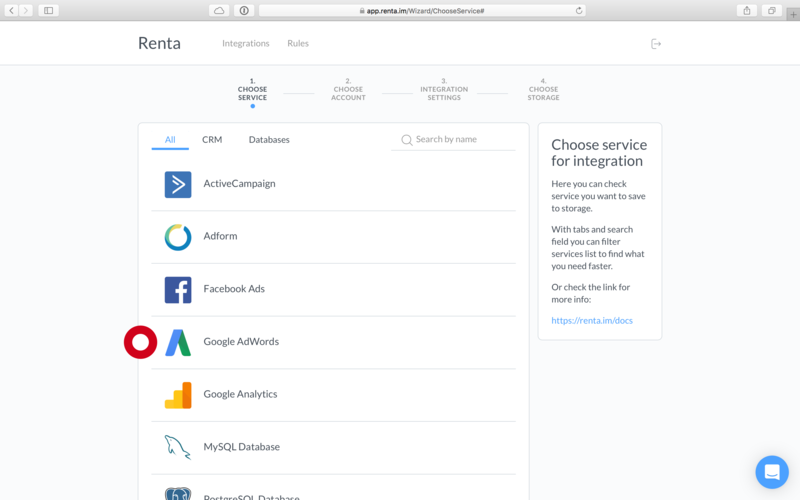 At this time Renta will launch the integration again, collect the new data from AdWords and save them to the database. Click on the Add button and select the database type from the list of available types. In our case this is BigQuery. After that you selected the database, you will see a window with the projects created in Google BigQuery. 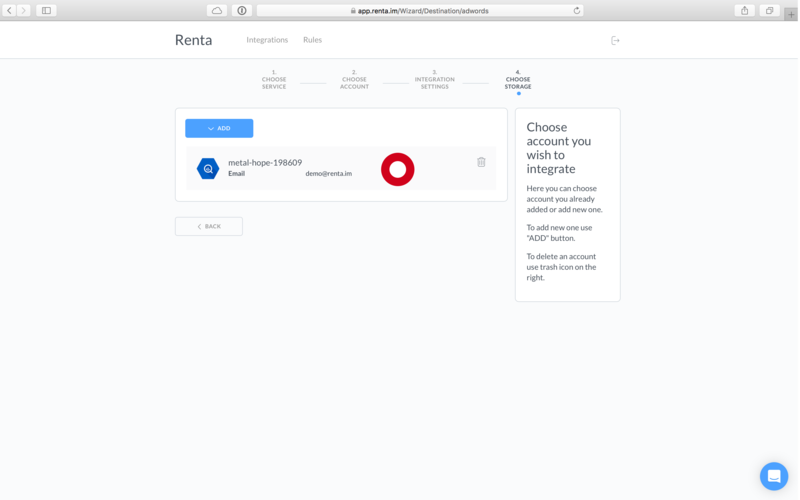 The dataset Renta_dataset will be created in Google BigQuery. The selected data will be uploaded there as a table. The AdWords API supports a wide variety of report types. You can easily confuse them because there are so many of them. Use the table below to select report types required for your tasks.